In this uncertain world, it’s more important than ever to save some money. Maybe you’re setting it aside for a rainy day, or saving with a specific goal in mind like a new house. Being a successful saver will not only insulate you from some of the worst of the things life throws at you, but it can also help you build your future. 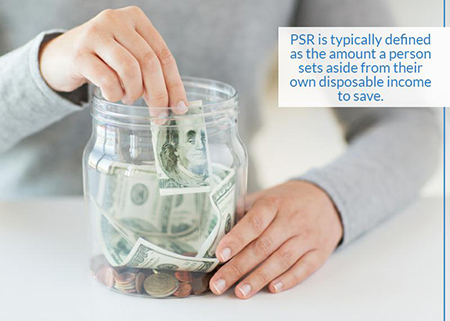 The Personal Savings Rate(PSR) of the average American has been around the 5% mark for the last few years. This is down from a high of 17.5% in 1975. Financial advisers suggest that we should all be saving more. Some advocate a PSR of 10%; others say we should save as much as 20%. What we can be sure of is that we need to be setting aside more than we are currently. Saving is the key to financial independence. It provides peace of mind, as well as an unbelievable sense of freedom. The first thing to consider is that saving is a state of mind as much as anything else. It’s something you have to actively decide to do; it won’t just happen by itself. You have to think like a saver. Making the decision to set some money aside is your first step on the road to saving money like a pro. This is a difficult one to understand, but you have to pay yourself before you pay anyone else. 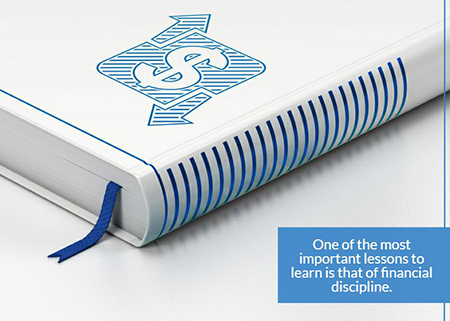 In order to be a successful saver, it’s sometimes necessary to be a bit ruthless. Save your money first, before you pay any bills, then live off what’s left. Take stock of how much money you spend each month. 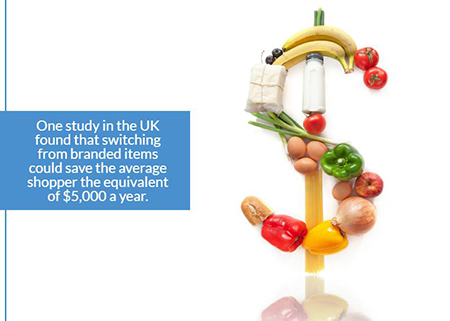 Take a look at your weekly shopping habits. Do you need all those brand name items? That’s a big savings no matter what currency you use. Try this calculator to see how much even a small change can be worth over the course of a lifetime. Look at your phone, internet, and TV packages. Do you need all the add-ons? Could you get it cheaper somewhere else? Don’t be afraid to haggle with your provider. The 50-20-30 rule is a good rule of thumb. Simply put: 50% of your income goes to essentials and fixed costs like your mortgage, car and the like. 30% is your discretionary income, what you spend on a day to day basis, and the 20%? This could mean meeting other financial commitments (such as paying off debts), but it’s the proportion of your income which should go towards securing your financial future. Sit down and work out your living expenses. Applying this rule should make your savings plan a whole lot clearer. It’s not just about creating that budget; it’s about sticking to it, too. You shouldn’t be dipping into your savings every time you feel like it. Successful savers stick to their plans and watch the money pile up. If you feel like this is difficult for you, you may consider options that won’t let you access your money so easily. One example of this is government bonds, but we’ll come back to this. Once you’ve made the decision to save, and you’ve worked out your budget, one of the biggest ways you can ensure that you become a successful saver is to take the matter out of your own hands. Automate the process, so a portion of your paycheck goes directly from your bank account to your savings account the day it arrives. If you’ve never had it in the first place, then you’re not going to miss it. Adapt your lifestyle to the new amount that’s in your bank account every week or month. Be secure in the knowledge that a portion of it has already been tucked safely away in a savings account, ready for whatever your long-term goals are. Your regular saving should be part of your budget that you’ve worked to create. It’s definitely important to stick to your savings goal and continue putting that set percentage into the account. Then any bonuses that come into your life, be it something as simple as birthday money, or as big as a bonus at work, a portion of it goes into your savings, tucked safely away for whatever your goals are. Have a clear idea of what it is you’re saving for. How much can you realistically afford to set aside? If you’re struggling with debt it may be a good idea to set a good portion of your saving efforts towards clearing that, particularly if it’s an expensive credit card or loan. 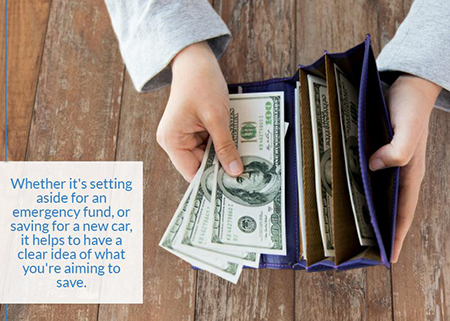 Prioritize your money, and the whole reason for saving suddenly becomes much clearer. You can see what the money’s going to be doing. Saving for your retirement, or for your kids’ college funds can require different strategies than short term saving. So it’s important to define your goal and then work on a strategy to achieve it. 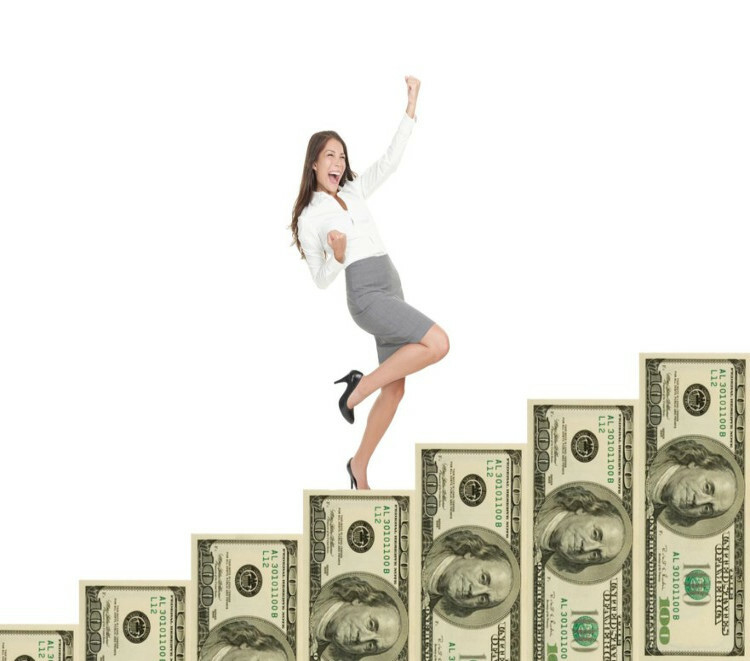 There are a variety of ways to save, and once you’re in the habit of being a successful saver, you may want to make your money work a little harder for you. Certificates of deposit are a safe investment if you don’t intend to touch your money for a long time, and as a dedicated saver, you shouldn’t be wanting to. The interest rate will be slightly higher than a standard account. They represent a very safe long term option. There are many other forms of investment out there for the canny saver, far too many to list here. Be it the varying rates in savings accounts, different types of investment or, more simply what sort of savings account is best for you. Did you know, for example, that online savings accounts typically offer higher interest rates than traditional brick and mortar banks? Did you know that some checking accounts can offer higher interest rates than saving ones? 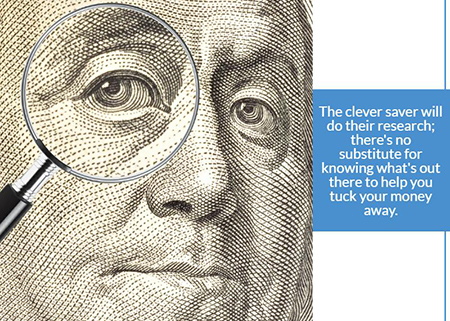 The savvy saver will shop around, do their research, and put their money in the best place for them. Read the financial media, educate yourself about money, and you’ll find your saving going even further than you imagined they would. Being an effective saver is at once both a simple and a complicated process. It’s simple because, at its most basic form, it’s just a matter of putting some money aside and resisting the urge to spend it. It’s complicated because there’s so much more that you can do once you’ve decided to be a successful saver. It’s a long road and an exciting journey to personal financial security. It’s not necessarily easy, but if you have a clear idea about what you can save, what you’re saving for, and how you’re going to go about it, then you can achieve your goals.